FUJISOKU - P/N AS1D. 2 pos - SPDT. EPOXY SEALED PINS. - - 16 PCS - -. Switching current (max.). Compatible with: Parallel guide. Casing/button colour: Black White. Switch position: 1 x Off/(On). Switch type: Pushbutton. Lighting type: none. Specification :On-Off-On 3P, SPDT, 2A 250VAC, 5A 120VAC. 5M series, ON-OFF-ON. Actuator heigh : 5.08mm. Pro Audio Slide Switch. Pins Lead :PC thru-hole. RoHS & Lead Free : Yes. special sutiable for Pro Audio Amplifier application. Specifications: Descriptions: These DIP switch are designed to be used on a printed circuit board along with other electronic components and is commonly used to customize the behavior of an electronic device for specific situations. Widely used in data processing, communication, remote control and anti-theft alarm system need to manually automatic programming products. Specifications:Descriptions:This DIP switch is designed to be used on a printed circuit board along with other electronic components and is commonly used to customize the behavior of an electronic device for specific situations.Widely used in data processing, communication, remote control and anti-theft alarm system need to manually automatic programming products.Welding modes: 1, Hand Soldering, useing 30W soldering iron, not more than 3 seconds 350 centigrade, 270 centigrade less than 5 seconds. 2, Wave-soldering, 240 centigrade, less than 20 seconds, welding and cleaning process in the switch is disconnected. .
(ON) When the Pin Plunger is Depressed. Specification :On-On 3P, SPDT, 2A 250VAC, 5A 120VAC. Actuator heigh : 7.25mm. Pro Audio Slide Switch. 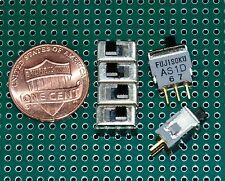 Pins Lead :Right angle, PC thru-hole. Cnntact material :Brass with Gold plated. RoHS & Lead Free : Yes. Specification :On-On 3P, SPDT, 2A 250VAC, 5A 120VAC. Actuator heigh : 5.08mm. Pro Audio slide switch. Pins Lead :PC thru-hole. RoHS & Lead Free : Yes. special sutiable for Pro Audio Amplifier application. Specification : On-Off-On 3P, SPDT, 2A 250VAC, 5A 120VAC. 5M series, ON-OFF-ON. Actuator heigh : 12.32mm. Pro Audio Slide Switch. Pins Lead : PC thru-hole. RoHS & Lead Free : Yes. special sutiable for Pro Audio Amplifier application. Specification : On-On 6P, DPDT, 2A 250VAC, 5A 120VAC. Actuator heigh : 5.08mm. Pro Audio slide switch. Pins Lead : PC thru-hole. RoHS & Lead Free : Yes. special sutiable for Pro Audio Amplifier application. Specification :On-On 6P, DPDT, 2A 250VAC, 5A 120VAC. Actuator heigh : 12.32mm. Pro Audio slide switch. Pins Lead :PC thru-hole. RoHS & Lead Free : Yes. special sutiable for Pro Audio Amplifier application. 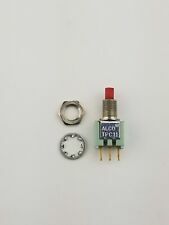 5 Pcs 10 Position DIP Switch. Pin Pitch : 2.54mm. Type : 10 Ways Slide Type. Poles : 20 Pin. We will assist you in any way possible and aim to answer. we will replace a new one. in good condition before dispatch. Specification :On-On 3P, SPDT, 2A 250VAC, 5A 120VAC. Actuator heigh : 12.32mm. Pro Audio slide switch. Pins Lead :PC thru-hole. RoHS & Lead Free : Yes. special sutiable for Pro Audio Amplifier application. 20 Pcs 8 Position DIP Switch. Pin Pitch : 2.54mm. Type : 8 Ways Slide Type. Poles : 16 Pin. We will assist you in any way possible and aim to answer. we will replace a new one. in good condition before dispatch. 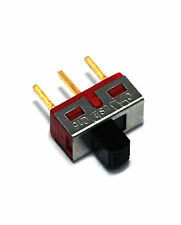 10 Pcs 2 Position DIP Switch. Pin Pitch : 2.54mm. Type : 2 Ways Slide Type. Poles : 4 Pin. We will assist you in any way possible and aim to answer. we will replace a new one. in good condition before dispatch. 10 Pcs 8 Position DIP Switch. Pin Pitch : 2.54mm. Type : 8 Ways Slide Type. Poles : 16 Pin. We will assist you in any way possible and aim to answer. we will replace a new one. in good condition before dispatch. 20 Pcs 10 Position DIP Switch. Pin Pitch : 2.54mm. Type : 10 Ways Slide Type. Poles : 20 Pin. We will assist you in any way possible and aim to answer. we will replace a new one. in good condition before dispatch. 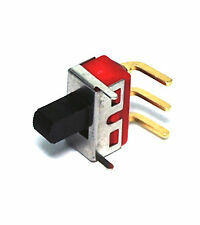 10 Pcs 10 Position DIP Switch. Pin Pitch : 2.54mm. Type : 10 Ways Slide Type. Poles : 20 Pin. We will assist you in any way possible and aim to answer. we will replace a new one. in good condition before dispatch. 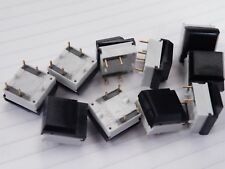 20 Pcs 4 Position DIP Switch. Pin Pitch : 2.54mm. Type : 4 Ways Slide Type. Poles : 8 Pin. We will assist you in any way possible and aim to answer. we will replace a new one. in good condition before dispatch. 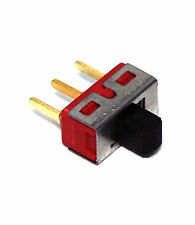 20 Pcs 2 Position DIP Switch. Pin Pitch : 2.54mm. Type : 2 Ways Slide Type. Poles : 4 Pin. We will assist you in any way possible and aim to answer. we will replace a new one. in good condition before dispatch. Specification :On-On 6P, DPDT, 2A 250VAC, 5A 120VAC. Actuator heigh : 5.08mm. Pro Audio slide switch. Pins Lead :PC thru-hole. RoHS & Lead Free : Yes. special sutiable for Pro Audio Amplifier application. Specification : On-Off-On 3P, SPDT, 2A 250VAC, 5A 120VAC. 5M series, ON-OFF-ON. Actuator heigh : 5.08mm. Pro Audio Slide Switch. Pins Lead : PC thru-hole. RoHS & Lead Free : Yes. special sutiable for Pro Audio Amplifier application. 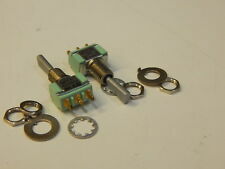 5 Pcs 4 Position DIP Switch. Pin Pitch : 2.54mm. Type : 4 Ways Slide Type. Poles : 8 Pin. We will assist you in any way possible and aim to answer. we will replace a new one. in good condition before dispatch. 5 Pcs 8 Position DIP Switch. Pin Pitch : 2.54mm. Type : 8 Ways Slide Type. Poles : 16 Pin. We will assist you in any way possible and aim to answer. we will replace a new one. in good condition before dispatch. 10 Pcs 4 Position DIP Switch. Pin Pitch : 2.54mm. Type : 4 Ways Slide Type. Poles : 8 Pin. We will assist you in any way possible and aim to answer. we will replace a new one. in good condition before dispatch.